One of the more commonly overlooked pieces of any effective content strategy is a content style guide. Many times, content contribution takes place without even being aware of the need for a style guide, while other times a content style guide is considered something only used by print editors and publishers. Stalwarts like the AP Stylebook or the Chicago Manual of Style have been essential tools for editors and journalists since the 1950s, but they also have a critical role to play in the development of any content style guide. And if you have more than one person contributing content to your agency’s website, then you need a style guide. And to be honest: if the one person is someone like me, who seems to strive subconsciously for inconsistency, you still need a style guide. Many people mistakenly view style guides as a rarely used tome to help settle heated arguments about colon usage, split infinitives, or gerunds. And while it can be very helpful in this regard, it also helps establish what I personally feel is the most critical component of content creation: consistency. Many times I have uttered the words “I don’t care how we handle it, just be sure we’re consistent.” And more often than not, directly after this phrase is uttered and a decision is made, it is quickly documented in the style guide. A good style guide can also answer questions about how to present a content type such as a graphic or table before they even can occur. This helps save the content contributor time and also reduces the time needed during the content review process, if one exists. I have always sought out the warm embrace of a content style guide when posting content for a new site or in a new publishing environment. To me, it serves as an insurance policy that the content I’m creating is as correct as possible the first time. If you need a good starting point for getting a better grip on your agency’s personality, take a look at Big Brand System’s 10 minute personality exercise. Most importantly, a content style guide serves as a reference tool for your content strategy and helps ensure that your strategy is a part of every piece of content created. This should also serve to help keep your content efficient and user-focused while also asking whether the piece of content needs to be created in the first place. Another common misconception about content style guides are that they are hard to develop and time-consuming. I personally have never found this to be the case when developing either a print style guide or a Web style guide. One of the main reasons developing your own style guide is relatively easy is that either the AP or Chicago guides can serve as your extremely strong foundation. 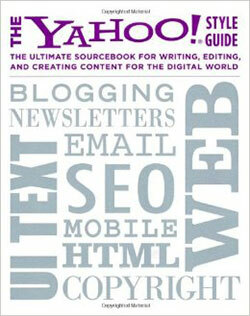 Yahoo also has a popular style guide that is Internet-focused (as expected). Your agency may have, at a minimum, decided on one of these main guides; in my experience it is typically Chicago, but either way, a lot of the hard work has already been done for you. 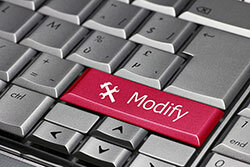 Just be sure to specify in your guide when an in-house style overrides something in one of the core guides. Just as your website is not a print product that gets shipped in some final state, your agency’s style guide should never be considered final. As your digital products continue to change and grow, previous styles will need to be updated and completely new styles may need to be developed. What worked for your Facebook page may not work for whatever new platform your agency has adopted and is using to reach more customers. It is also important to point out that not only should your style guide be allowed to evolve and grow as your digital offerings do, it should also not be considered a guide for only text content. It can be used to establish norms for visual media as well, such as videos or infographics. I’m still trying to wrap my head around a style guide entry for Periscope, but it is certainly something that you might need to consider. It is again about helping maintain a consistent presence to customers in all public forms, whether it is a PDF or a Snapchat or a new pin on Pinterest. Many organizations that have developed style guides still suffer problems of consistency and “rogue” content contributors, and they struggle to get their editors to make use of the guide. One of the main ways to be sure your style guide is used is to make it usable. A simple, straightforward guide for creating content will normally be embraced by others the same way I mentioned that I embrace them. It makes a content contributor’s job easier by reducing questions and reducing time needed to revise or correct mistakes once content is reviewed as part of the publishing workflow. It can also be helpful (and it always makes sense to me) to include a group of content editors or contributors into the style guide creation process. Are there questions that always come up? Do several of your editors have their own “unofficial” style guides that they created for themselves? This also helps create a guide that has a basis in the everyday reality and workflow of the people that you will expect to use it on a regular basis. Style guide by royal edict is normally not a good way to engender broad acceptance or use. A content style guide (or any style guide, for that matter) is always a must-have for me, and if I join an organization without one, I very quickly volunteer to take on a project to create one. Maybe I am a bit of a structure nut, but it creates a much more consistent and less confusing content creation process (not to mention less confusing content for the customer). It is normally a small amount of effort for a large return in time and quality, and it doesn’t have to be complicated. I have had style guides that were simple Word documents, and I have had a searchable Wiki, but the important thing is that it exists, is easily accessible, and is easy to follow—just like your content itself should be.You’ve just finished reading the latest article from our Monday column, The Content Corner. 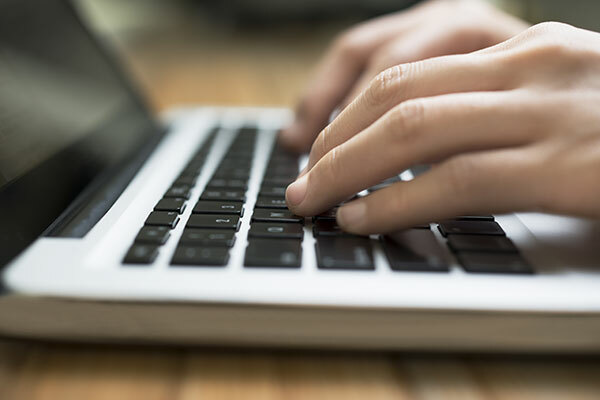 This column focuses on helping solve the main content issues facing federal digital professionals, including producing enough content and making that content engaging.